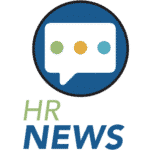 HR News You Can Use is your monthly email publication from The Benefit Company that delivers the most talked about topics in the industry. Writer Caryl J. Kuchman (SPHR, SHRM-SCP) has extensive experience in multiple areas that bring insight to your HR planning and implementation strategies. Subscribe today to this complimentary publication and start taking advantage of the insightful experience and innovative solutions Caryl brings to every monthly issue.